Chautauqua were a popular adult education movement throughout rural areas of the country in the late 19th and early 20th centuries. Founded on the banks of New York's Chautauqua Lake, these assemblies brought entertainment and culture not present in the local communities. Theodore Roosevelt once described them as "the most American thing in America." The old Chautauqua were held at the Fairgrounds in the wooden grandstands, we will all relive the experience once again while we celebrate two hundred years of Brown County. The three speakers will reflect the diversity of the southern, central, and northern parts of our home, and address the history we all share together. Deann Kelley Kropf – A music educator for Georgetown Exempted Village Schools, she is an experienced performer and enthusiastic composer. Deann is a stable of local music and plays often for events all across the area, including the opening sets for Ed Bearss. 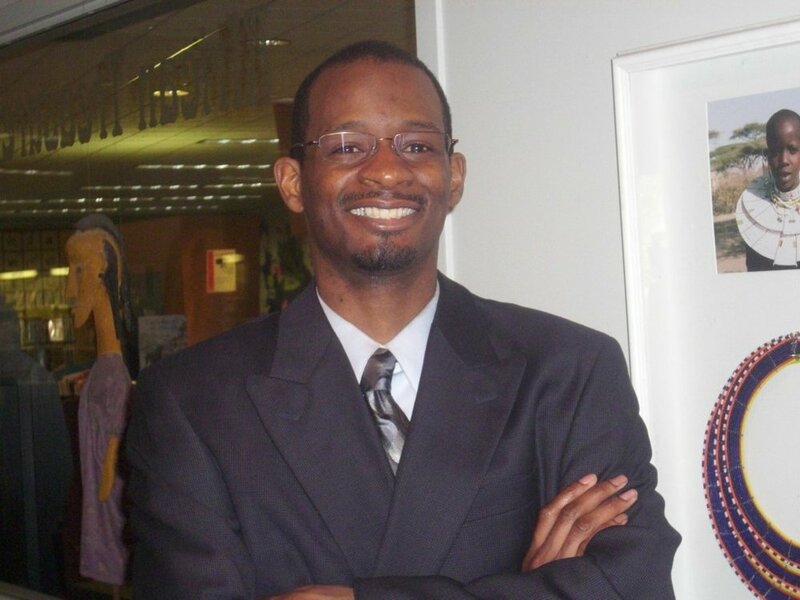 Anthony Gibbs – A teaching artist and seasoned living historian, Anthony works as the Community Engagement Coordinator for the History Connection Connection. A graduate of The Ohio State University, he is the creative director of Historic Impressions, a company specializing in living history presentations. Dr. E. C. Fields Jr. – Has been a lifelong student of the American Civil War, his portrayal of Ulysses S. Grant is driven by his deep respect and admiration for the General. Dr. Fields is the same height and body style as Grant, and presents a convincing, true-to-life image of the man. He studies Grant relentlessly in order to deliver an accurate and realistic persona; his presentations are in first person and always as the general really was. Dr. Fields holds a Bachelor's, two Master’s, and a Ph.D. in education. He is a career educator & administrator, an adjunct sociology professor for the University of Memphis, and an Education professor for Belhaven University at Memphis. Margaret Clark – Winning her first election in 1983, Mrs. Clark has served the county as a probate, juvenile, and common please judge ever since. Well-known for her community work in addition to her legal counsel, sharp eyes will recognize her as "Aunt Betsy" from the Morgan's Raid festivities and from Georgetown's Gaslight Players. Harriett Jackson Groh – A resident of Ripley and another graduate of The Ohio State University, Harriett is the Minister of Music, Arts, & Drama for Beebe Chapel. She has been a featured vocalist for the Ohio senate, Xavier University, and nationwide competitions, she is also a performer in at least four different local groups. 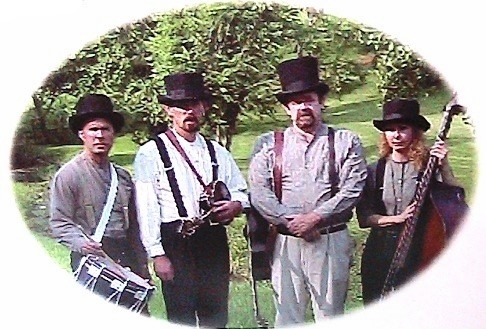 The Civil War Revue Band – Comprised of all Brown County residents, the Revue band is a homegrown treasure. They not only perform traditional songs, but also write and produce their own Civil War-inspired tracks. Michael “Doc” Preston is the lead singer and plays the guitar, banjo, and fiddle. Greg Manning plays the mandolin and sings background. Cathy Manning plays the acoustic bass and sings background. To hear a sample of their music, click here. First held on the banks of New York's Lake Chautauqua, Methodist minister Dr. James Vincent founded the event in 1873 to instruct locals how to properly teach Sunday-school. President Grant attended the widely publicized second chautauqua in 1874, launching them into the American lexicon. The chautauqua would become immensely popular during the last quarter of the century, spreading adult-education throughout the entire country. Particularly beloved in rural America, chautauqua were conducted as traveling shows, complete with high-poled tents and a festive atmosphere. They brought education and culture for entire communities, with speakers, teachers, musicians, entertainers, preachers, and specialists all giving lessons to the public. Almost as important as their instruction, was the cultural exchange the chautauqua carried in their wake. Important political and social issues were often at the forefront of the lessons, famed Nebraska senator William Jennings described them as the “...potent human factor in molding the mind of the nation”. Isolated communities had only the most tenuous links to other areas of the country, and these traveling schools helped bridge the nation together. In 1818, shortly after the state's admission in 1803, the Ohio House of Representatives formed Brown County out of the eastern third of Clermont and the western third of Adams County. In honor of this 200th birthday, the Brown County Historical Society will be bringing this experience back to the public. Born around 1809, Julia Chatfield was raised in England as an Anglican. Dividing her family in 1837, she converted to Catholicism and moved to France to become an Ursuline sister. Requesting help in 1845, the Archbishop of Cincinnati John Purcell asked the Ursuline order to found a school on the young country's western frontier. Sister Julia led a group of thirteen nuns from France, reaching the community of St. Martin later that year. They founded the Ursuline convent on their arrival, and the community began constructing a four-story brick schoolhouse deep in the wilderness. This school, lead by Mother Superior Chatfield, quickly developed a reputation of excellence, and young women came from all over the United States to be educated. Union generals Sherman and Rosecrans enrolled their daughters in subjects such as music, fine arts, French, physics, and natural history. From that original foundation, the Ursulines of Brown County have since educated children and adults in many forms. First as a boarding and day school, and today as Chatfield College and the Ursuline Academy. Born a slave in 1827, Parker was sold from Virginia at the age of eight to a doctor in Mobile, Alabama. In violation of pre-Civil War southern laws, he was taught to read and write, and allowed an apprenticeship in iron working. Earning and saving small amounts of money from his work, Parker convinced an elderly patient of the doctor's to purchase him in 1853, from whom he promptly bought his freedom. He moved to Ripley and established a foundry on the banks of the Ohio, gaining success for his metalwork and obtaining a number of patents for industrial innovations. Parker was one of only a handful of black men to file with the Patent office in the nineteenth century. Using the cover of industry, he became a conductor on the Underground Railroad, regularly helping slaves cross from Kentucky. Well-known by the region's slave catchers, he often risked his own life on daring raids south to guide runaways across the river. Once they reached the relative safety of Ripley, other conductors, such as John Rankin, would guide them further north. Eventually, he became the most active Underground Railroad conductor on the John Rankin ‘line’. John Parker died in 1900, still fervent in his belief that the essence of humanity was the right to freedom. Born at Point Pleasant in the April of 1822, young Ulysses moved to Georgetown before his first birthday. He was a shy and reserved boy, learning the ethics of hard work, modesty, and deep compassion during his childhood years. Staying in Brown County until he turned seventeen and was accepted to West Point, Grant would never live in any one place longer than those years. At the Military Academy he excelled in mathematics, horsemanship, and cartography; painting watercolors and setting equestrian records that would last for several decades. He served bravely in the Mexican War, resigning his commission during peacetime in 1853. When the Civil War began in 1861, he reentered the Army as a colonel of volunteers. After commanding a series of relentless victories in the Western theater, Congress commissioned him to the rank of Lieutenant General, the first to earn the title since George Washington. Despite his “bull doggedness” as a military commander, he demonstrated a love of peace and a profound wish for national unity at the end of the war. He accepted the surrender of the Confederate Army at Appomattox with delicacy and brotherhood, paroling the Southern army instead of imprisoning them, and allowing the soldiers to return home with their horses for the spring plowing.